Your respiration changes when you are asleep resulting in a steadier and low breathing rate. However, the breathing rate fluctuates and increases during REM sleep reaching the same level like when you are awake. This means that you should have quality air when you are asleep just like when you are awake. Avoid covering your mouth or face with something when you are asleep since this will make you uncomfortable. Individuals who are uncomfortable while asleep spend most of their night turning and tossing. Airborne allergens and respiratory irritation can lower the sleep quality or even lead to sleep-disordered breathing problems like sleep apnea. People living in rooms with quality indoor air don’t have to get worried about these breathing issues, and they wake up when they are still refreshed. People are always breathing even without realizing. Breathing is an unconscious action that is very important in someone’s life. However, this process might be difficult if your home has low-quality air. People who are living in areas with shallow breathes can put a lot of stress on their bodies, especially their lungs and heart. This is an issue that can make some tasks like climbing the stairs difficult and tiring. Ideally, you should make sure that your body has access to clean air and oxygen needed. Many people are suffering from respiratory issues and allergies. 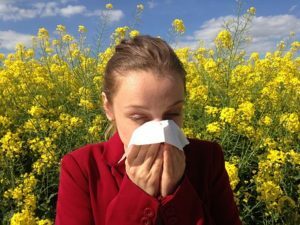 Some of the symptoms associated with these conditions include congestion, sneezing, irritated eyes, and an itchy throat. You can eliminate allergens by maintaining the ventilation and air condition systems in your home. Allergens are also eliminated by frequent vacuuming. Some of the airborne particles that cause allergies include pollen, dust, mold spores, animal dander, and cockroach debris. Some of the steps that can help you in maintaining the air quality include maintaining carbon dioxide and humidity levels as well as improving ventilation and airflow. You should optimize your HVAC system to make sure that it is not overworked as you try to maintain the healthiness of your home. Having an efficient system is the best way of reducing costs on the utility bill. Tagged air quality, allergens, indoor air.